Earlier this week I had the pleasure of decorating some cookies for one of my regular customers who called with some unusual cookie design requests. 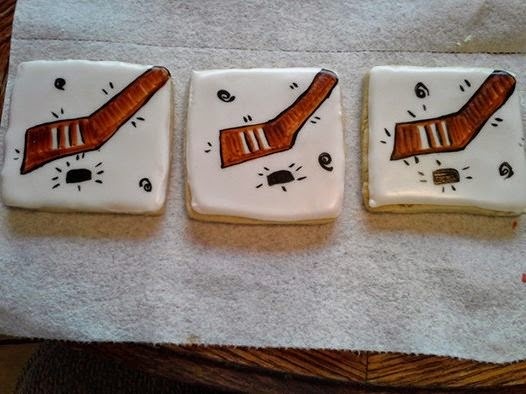 She asked for cookies with general hockey, massage school, and disc golf themes. Well, there you have it. I love a good challenge. Like the rest of the world, I checked out the internet and Pinterest for inspiration. For hockey theme cookies there were lots of pics to look at, but that wasn't the case for the other cookie sets. 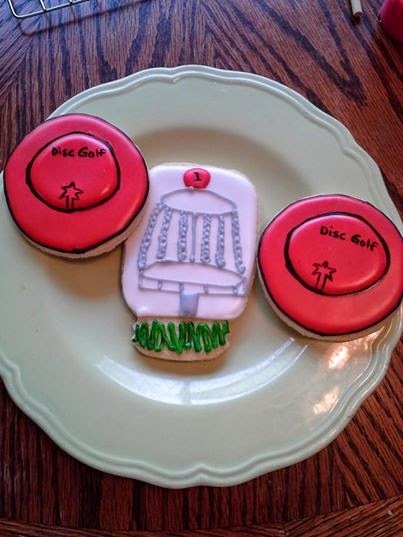 It's apparent that the market for gifting to massage therapists and disc golfers does not lie in decorated cookies! But, just maybe we can change that. Here are pics of the end result. These were so fun to make! 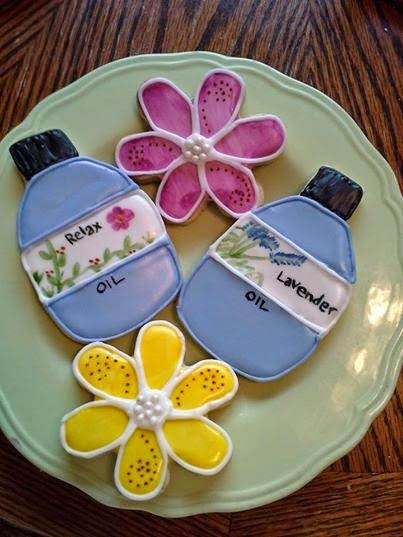 Cookies a massage therapist will love!